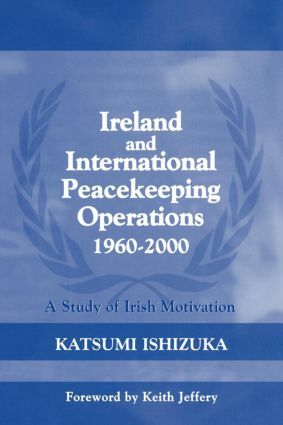 The Republic of Ireland has won its status as a leading contributor to international peacekeeping operations, which has been its key 'foreign policy' since the 1960s. But why is Ireland so keen to be involved? This new book asks and answers this and other key questions about Ireland's close involvement with the EU. It cannot simply be for charitable reasons, so is it because it is a neutral state or because it is a middle power? Overall, is Ireland's peacekeeping policy based on realism and liberalism? The characteristics of peacekeeping operations have changed significantly, especially since the end of the Cold War. Can Ireland survive as a traditional peacekeeping contributor or does it have to change its peacekeeping policy radically? And will it be able to maintain its distance from NATO and the EU in terms of peacekeeping operations? This title attempts to answer all of these questions, drawing on a wide range of resources from literature, Irish and UN documents, to newspapers and interviews.